Visiting or living in Las Vegas? 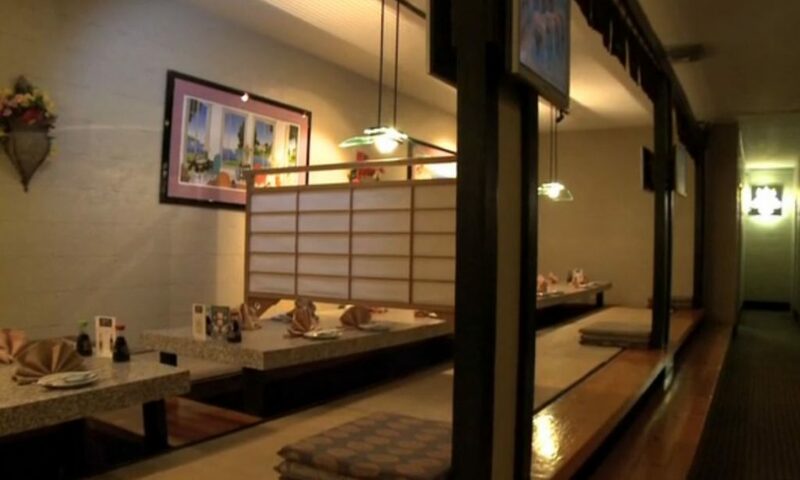 Looking for a family-friendly Japanese restaurant? You just can’t beat the one that’s been in town the longest: Osaka Japanese Bistro. Popular Japanese restaurant Osaka is a long-time local favorite, open late and, with two central locations, easy to find. With its lively sushi bar and extensive menu of authentic Japanese dishes, Osaka’s is a place where everyone from local politicians to Strip entertainers may be seen from time to time. But it’s the homey, relaxed atmosphere and seemingly endless choice of dishes that also make Osaka a family-friendly destination any day, for lunch or dinner. For kids, Osaka’s can be a delicious way to explore Japanese culture through cuisine. Looking for authentic Japanese? This is it. The Asahi Shukan, Japan’s largest weekly magazine, named Osaka among the 50 top Japanese restaurants. Osaka is the only restaurant outside of Japan to win a spot on the list. 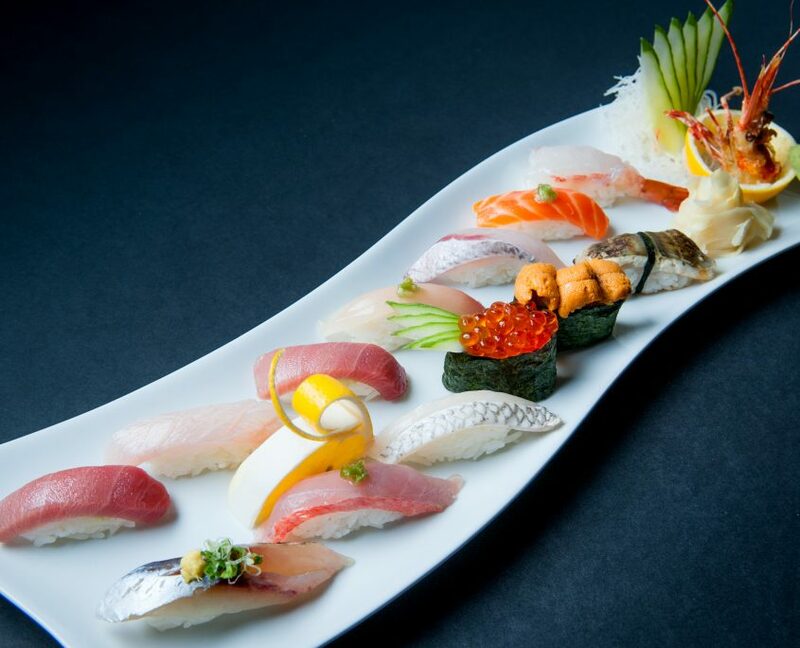 The Nakanishi family, founders and now second generation owners, pride themselves on offering a truly authentic and very extensive selection of Japanese dishes. There are so many dishes that it can be hard to choose. 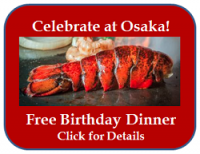 (This is one of the many reasons locals return to Osaka Japanese Bistro again and again.) 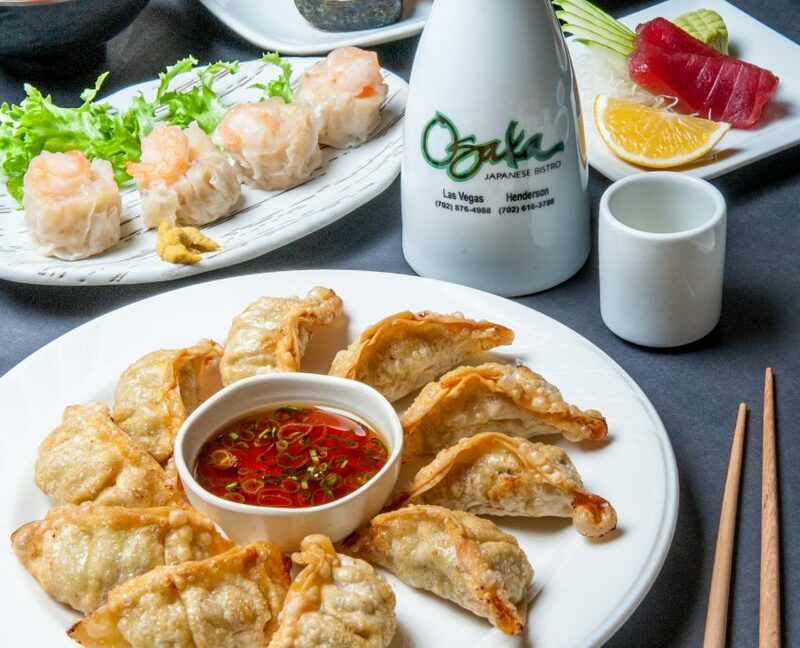 At Osaka Japanese restaurant, there really is something for everyone on a menu that features more than 30 appetizers and over 75 different sushi rolls. Are your kids picky eaters? Most kids love noodle soup – they can chow down on a big steaming bowl of udon or soba noodles. With it’s sweet taste, teriyaki unagi over rice is another choice destined to please a young palate. And, there’s a Karate Kids menu section at the teppanyaki grill. Appetizers? Why not order squid fingers – breaded and fried squid slices with our special honey sauce. Daring young adventurers might like to sample a plate of sushi or gobble up a plate of gyoza (choice of steamed or fried). For non-meat eaters, there’s the Vegetarian Special. Its array of edamame, veggie sushi, and vegetable tempura makes it a great choice for family-style sharing. Our hot pots (choose from shabu shabu, sukiyaki or yosenabe) are also meant to be shared. Each comes with Napa cabbage, carrots and leeks, tofu, bamboo, shiitake mushrooms, and rice noodles. For sushi lovers there are traditional, original and local favorite sushi varieties to enjoy, like Something Wrong, Pocket Aces, Oh My God, Rock & Roll, Kamikaze, and Banzai! 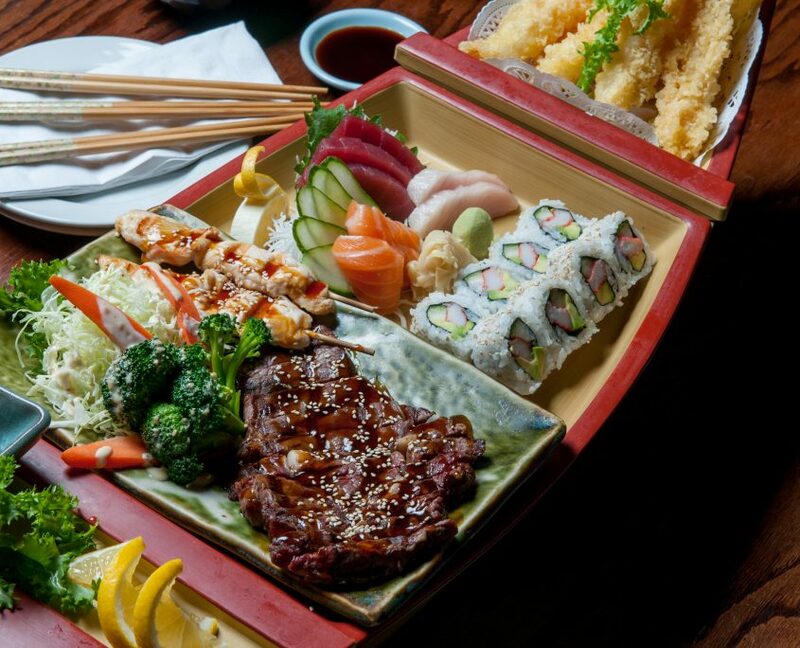 Try the Tokyo Express, or ask for the Chef’s recommendation. Each creation is the work of a sushi artist who loves his work and delivers the freshest and most delicate sushi flavors in town. Time for dessert? Osaka offers an extensive dessert menu, including mochi ice cream, a kids’ favorite. These ice cream dessert balls—including fruit flavors like mango—are wrapped in rice dough and chilled. Or give a try to Osaka’s signature tempura ice cream. Depending on how your family is feeling, choose from a number of dining settings. Kids love taking off their shoes and spreading out in a tatami room experience. Dining on the floor somehow makes the food just a bit more exotic for first timers, so let the kids get a taste of tradition with their own tatami mat experience. For an exciting dining option, check out the teppanyaki (hibachi style) grill experience. 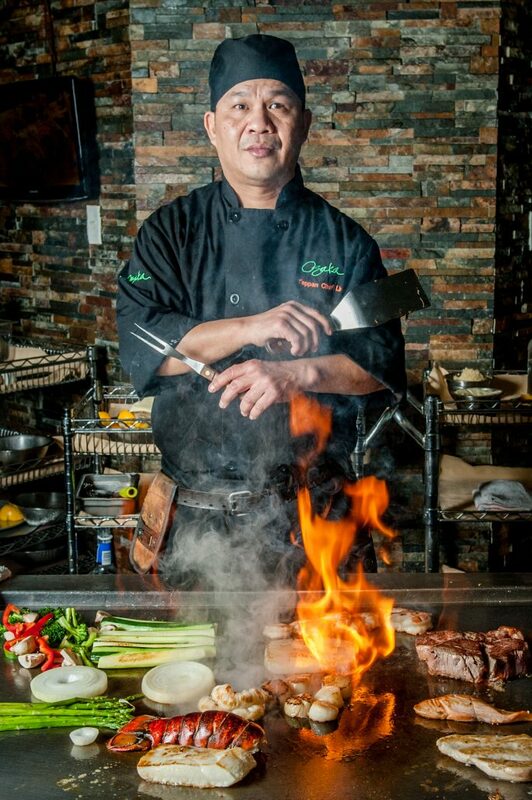 Your very own, specially trained teppan chef will prepare freshly grilled meats, seafood and vegetables in a flaming display of artistry and flavor. This is a great way to celebrate a birthday, graduation or other special event, or just to liven up a boring evening. Call ahead to reserve a table as these experiences go fast. Of course, every sushi lover enjoys the sushi bar where you can watch Las Vegas’ freshest sushi being prepared by expert sushi chefs before your eyes. Nothing beats freshly rolled sushi. The whole family will enjoy selecting new flavors and admiring the delicious, creative and artistic presentations as the sushi arrives. For families in a hurry or just looking for a great meal, you can opt for regular, western table seating, too. You’ll get the same warm and helpful service and be able to pick from a number of extensive menus to get just what you’re craving. Whatever style you choose, our mood is relaxed, laid-back, familiar, and perfect for family outings. Our original location on Sahara has been around a long time, since 1967. We love it for the history and memories, and we think it is now broken in just enough to really allow the food to take center stage and deliver a fantastic dining experience to all who visit us. Most of the professionals at Osaka have been here for many years. Everybody’s happy you’ve come and that you’re bringing the kids. So take a break from the Las Vegas tourist scene and go where those in the know go. If you have young children, you might find that an early visit works better for you. Lunch at Osaka is an exceptional family-friendly value, running throughout the afternoon. After the kids have gone to bed and you fancy a small bite, check out the late night menu. An impressive number of Asian beers are always available. Try a hot sake or house wine from our selection. Just too busy to get out of the house? You can also order online through our delivery service. Patrons are invited to visit both of our locations, each with its own distinct atmosphere. 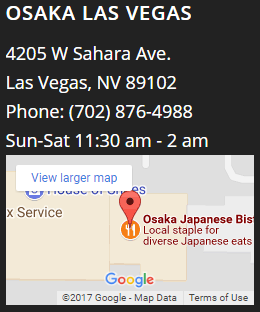 In Las Vegas, the original Osaka, on West Sahara Ave. (under the miniature Statue of Liberty) isn’t far from the Strip. 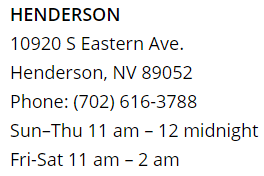 It’s also a short drive from Summerlin and most Las Vegas neighborhoods. Get a taste of “classic” Las Vegas with our original architecture and location, as well as some memories of past times that line our walls. Our Henderson restaurant, an easy drive from the South Valley, is our newest addition. Light and open with room to enjoy art and evenings with live jazz, our Henderson restaurant is a fun experience for all ages. 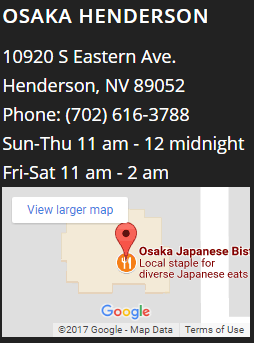 Either way, expect to be treated with the best, authentic Japanese sushi and food in Las Vegas, a treat for the entire family.